The cables are designed for connection between traffi c control centers and equipment shelters along the trackside. 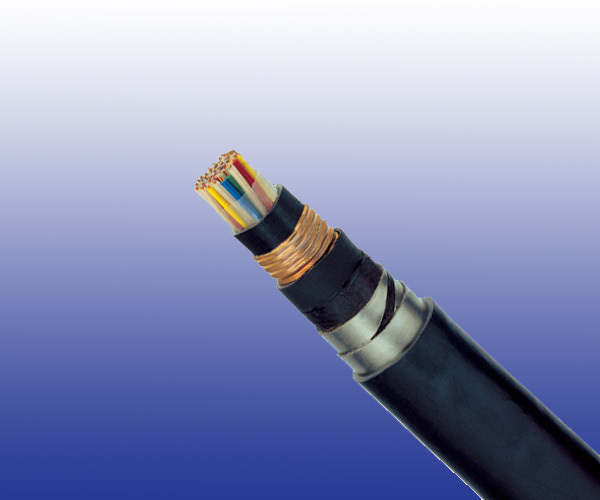 The cables are specially designed to give good induction protection (R.F= 0.26 at inductive voltage 100V/km) and are suitable for installation in intercity railways electrifi ed at 25KV ac. Conductors Solid annealed copper, 1.0/1.5 mm^2 nominal cross section area. Electrostatic Shield One corrugated copper tape. Intermediate Sheath PE/PVC sheath. LSZH FR option can be offered upon request to NF C 32 070.2.2 (C1). Electromagnetic Shield Two helically applied steel tapes of 0.5mm. Outer Sheath PE/PVC Sheath. LSZH FR option can be offered upon request to NF C 32 070.2.2 (C1). Remarks ZPAU: PE/PVC Sheath; ZPAU-SH: LSZH Sheath.